Jared Unzipped: The Origin Of The Root Beer Float. I've discussed previously the history of root beer. It's a beverage steeped in Americana. Yet, what about the ultimate root beer dessert that delights people the world over? That's right... the root beer float. In the late 1800's, various soda float varieties sprang up all across the country. Because Americans weren't so well connected as they are today, the same recipes would be developed in various pockets around the United States. As the popularity of soda pop grew, so did the idea of mixing ice cream with it. While there are many tales about who created the first root beer float, one story stands out as the most probable and well known. The year was 1893. Frank J. Wisner, owner of the Cripple Creek Cow Mountain Gold Mining Company in Colorado, drew inspiration from his environment. Looking at moonlight shine off the nearby snow-covered Cow Mountain, he envisioned a scoop of vanilla ice cream. At the time, the residents of Cripple Creek were raving over soda pop. Somehow, Wisner thought of combining vanilla ice cream with soda. His first choice was root beer, which happened to be the favorite flavor of children in the area. The combination was an immediate success. Local residents began calling the beverage a Black Cow, a nickname which has stuck to this very day. If you want to switch the recipe up a bit, try using chocolate ice cream instead of vanilla with root beer. You'll have what's called a Chocolate Cow, which is how I generally prefer to enjoy a root beer float! 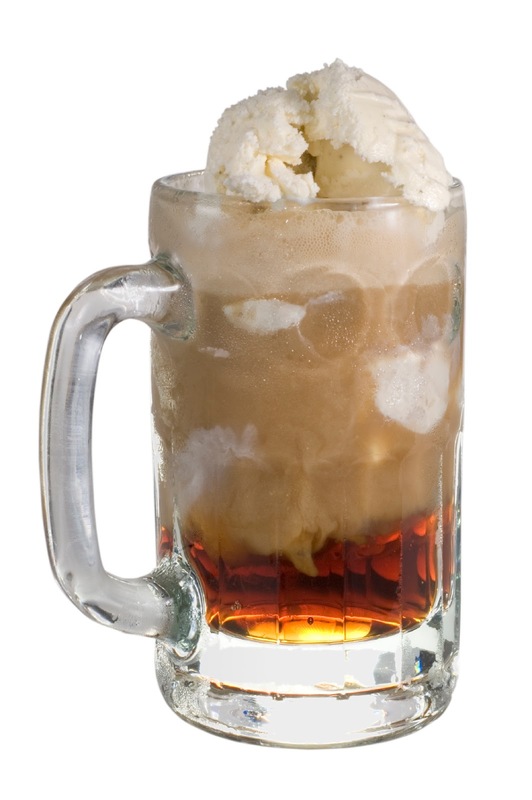 Also, don't forget to celebrate on August 6, which is National Root Beer Float day. Though, you don't have to wait that long to enjoy one!